Since 2011, Colorado has avoided a net total $139 million in costs while improving health outcomes for thousands of residents. The Colorado Accountable Care Collaborative is an innovative program designed to pay providers for the increasing value they deliver while better cording care for members. Only nine other states have implemented similar models, putting Colorado at the forefront of change across the nation. 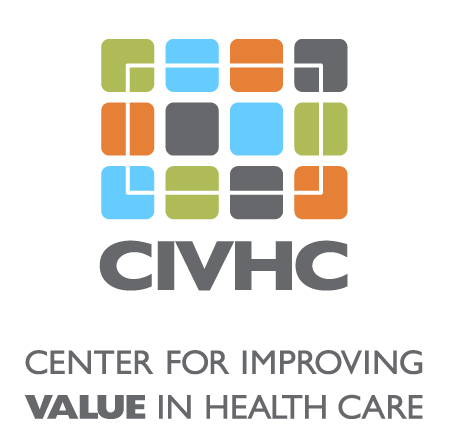 A hybrid of a traditional Accountable Care Organization and a Primary Care Case Management System, Colorado’s Accountable Care Collaborative works to improve quality and access to care as well as reduce costs for Health First Colorado, the state’s Medicaid program. A network of Regional Care Collaborative Organizations (RCCO) works with Primary Care Medical Providers (PCMP) to connect Health First Colorado members enrolled in the Accountable Care Collaborative with medical home providers that will meet their individual needs. Helping to fulfill one of the core goals of the Accountable Care Collaborative program, medical home providers give patients a focal point for their care, help them get necessary preventive services, and provide education about any chronic conditions they may have. The other goals include coordinating medical and non-medical services for patients, improving member and provider experiences, and collecting the necessary data to move the program forward while meeting established benchmarks. The Accountable Care Collaborative program began with one practice in 2011 and has grown over the last five years to 670 practices supported by the RCCOs. In FY 2015-16 (July 2015 – June 2016), more than 300 participating practices met the criteria to become enhanced Primary Care Medicaid Provider. Practices are also encouraged to take part in practice transformation efforts such as the Colorado State Innovation Model, developed to integrate behavioral and physical health care. As of November 2016, almost one million people are members of the Accountable Care Collaborative and those enrolled have the option of opting out of the program. The Colorado Department of Health Care Policy and Financing (Department) estimates that less than five percent of enrollees opt out. The Department tracks the Accountable Care Collaborative’s progress through several measures including follow up care and/or readmission within 30 days of a hospital discharge, pre- and postnatal care, emergency room visits, and screenings for some sexually transmitted diseases and depression. In FY 2015-16, the Accountable Care Collaborative program saw increases in services that lead to improved health and decreases in high-dollar services that can drive up costs. During the same time frame, the program avoided over $205 million in medical costs, which offset administration expenses and resulted in a net total of nearly $62 million in health care dollars that were not spent. The next iteration of the Accountable Care Collaborative program will begin in July 2018. The Department’s objectives for the next phase of the Accountable Care Collaborative include further joining physical and behavioral health under one accountable entity, strengthening coordination of services by advancing Team-based Care and Health Neighborhoods, promoting member choice and engagement, paying providers for the increased value they deliver, and ensuring greater accountability and transparency. The RCCOs and Behavioral Health Organizations will be replaced by Regional Accountable Entities (RAEs) that will act as a single administrative organization for behavioral and physical health in each of Colorado’s seven regions. More information on the evolution of the Accountable Care Collaborative and the RAEs is available on the Department’s website.